Microsoft Lumia 540 dual SIM another device in the budget zone is being made available in stores around the country. The Lumia 540 Dual SIM which was announced earlier this year in April and released in May. 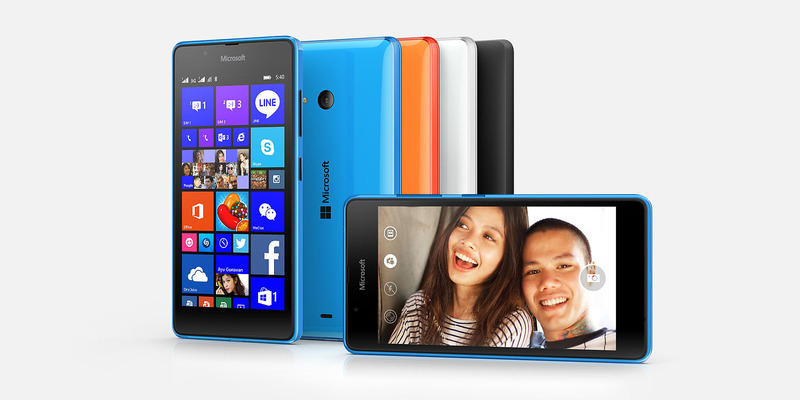 It bears a lot of resemblance to the Microsoft Lumia 535. The Microsoft Lumia 540 Dual SIM weighs 152g which is about 6g heavier than the Microsoft Lumia 535, you might bearly notice the difference. It has the same hardware specifications as the Lumia 535 expect the 540 spots an 8 MP back camera and has about 300mAh extra battery capacity. It has a flat back just as the 535, but without the hunch at the camera. The device is available in blue, orange, white and black colors. Pricing is between 700 – 800 GHS depending on store of purchase.